IKABAGS, PARIS: AN UNIQUE ETSY TREASURY !!! AN UNIQUE ETSY TREASURY !!! The group admin of our ISOT Ladies Etsy Turkish Team, Nil of http://www.nakpunar.etsy.com/ has created an unique treasury list. Nil picked the word " ISOT " for me, . 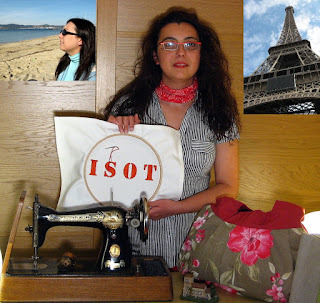 This logo with brodeidery of ISOT is very precious for me; because it's one of the first broidery I had made and every time I look at it I see the beautiful sceneries of my home country Turkey! I wouldn't sell it for anything! This is such a unique treasury!! Congrats! I just tried to post a comment at the treasury but it is already filled up with comments! Ay Türkçe yazıcam kimse kusura bakmasın :) Ne sevimli çıkmışsın sen öyle elinde İsot yastığı, önünde dikiş makinenle :) Öpüyorum.